» The Best P90 Pickups For Your Guitar! Learning how to play an instrument is probably one of the most fruitful decisions a person can ever make. The discipline, focus, responsibility, and coordination that come together with learning this new skill have great benefits that can greatly improve a person’s life. The guitar is an instrument that can bring much joy, even if only for the personal satisfaction of learning how to play your favorite tunes. As much as we like to think that playing an instrument is the hobby of creative people, much of how said instrument works is a matter of… physics! You will hear a lot of terms related to pickups, like smooth, mellow, or hot. But what do they mean, and how exactly does a pickup work, anyway? Magnetic pickups are, of course, based on magnets. A pickup has a thin copper wire that’s wrapped around the pickup’s body. This is where physics comes in (Faraday’s Law of Induction, to be more precise). This law states that when a magnetic field changes, it creates an electric field that passes through a nearby wire. For the principle to work, the wire has to be part of a closed circuit (which is the case of the aforementioned wire, which is wrapped in a coil). Here is the simplest explanation of how this works. When you move your fingers to touch the strings of your guitar, you create a vibration. Strings are normally made from steel and nickel, which are ferromagnetic materials. In translation, the magnets on your pickup are attracted to the guitar strings. As the magnetic field changes, there’s a current flow that picks up the string’s vibrations, causing the pickup to work. As a lot of professionals will tell you, picking the right pickup for an electric guitar is a complex process. You need to consider the type of electric pickup that matches your guitar. Intuitively, depending on the model of your pickup, you can generate different kinds of tones. This can also depend on the position where your pickup is related to your guitar. There have been cases where identical pickups sounded differently simply because they were in a different position. For example, if the pickup is placed closer to your guitar’s bridge, the results will be a sound of a higher frequency, compared to the ones you get when the pickup is placed closer to the neck of the guitar. If your guitar has more than one pickup, that will also contribute to how much tone control you get. There’s a broad classification for electric guitar pickups, and we’ll go over them in the following paragraphs. Back in the day, pickups used to have a single coil of wire, and the result was a lot of background hum. The solution that manufacturers discovered implied using two coils that were wired in opposite directions, with the purpose of them canceling one another. 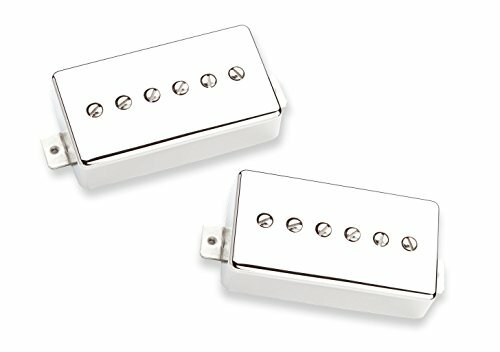 Double coil pickups are commonly known as humbuckers because, as the name suggests it, they are hum-bucking. They can produce a warmer tone compared to pickups that are based on the single coil technology. On the other hand, single coil pickups are known for generated a clearer sound. If you are not sure which of these two types of pickups to choose, consider the following. The size of the pickup holes will determine if a single coil unit is better than the double version. Then, it depends on what type of sound you most like. And, keep in mind, there are guitars that have a mixture of these two products. Passive pickups are a popular choice when dealing with guitars that have magnets wrapped in wire coils that don’t need electricity to work. Active pickups are powered by a battery pre-amp, characterized by higher output and the least amount of noise. 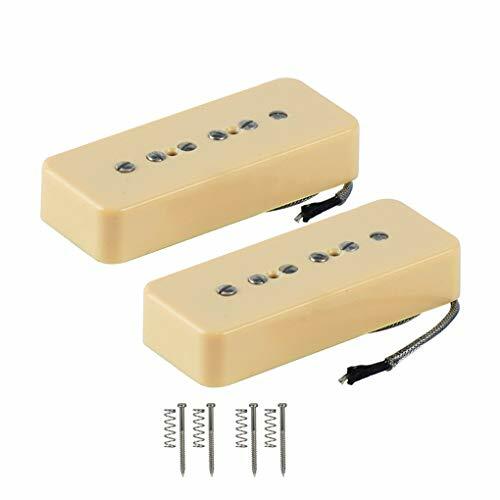 Passive pickups are known to be the favorite choice between the two. Of course, the choice depends on the music genre you most like to play. As we’ve mentioned above, there are players who prefer having multiple pickups installed, and switching between the setups. This opens up a multitude of possibilities and sound shuffling, to create unique and intriguing play styles. P90 pickups may have similar tones, but they have different shapes and sizes. By combining the buyer’s guide above with our suggestions below, you should be able to find the ones that match your guitar, to be able to enjoy a sound just like you’ve always dreamed of. Available in Chrome and Cream, this stylish-looking soapbar neck and bridge pickup might just be what you need. 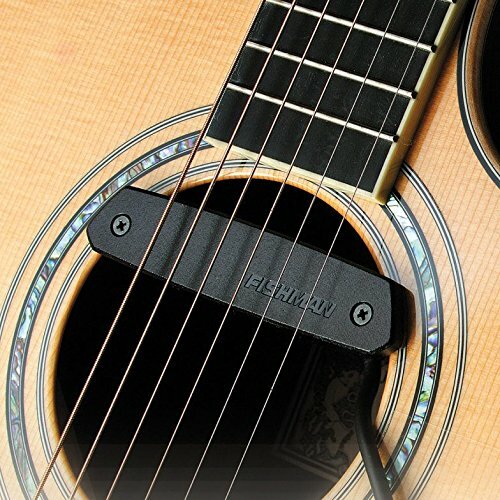 The five magnets that make up the pickup have adjustable poles, while the spacing of the poles is 50 mm and 52 mm, for the neck and bridge, respectively. The cover is waxed, to prevent unwanted noise. 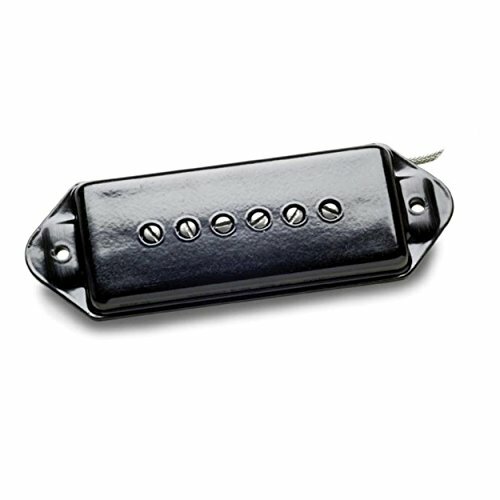 The FLEOR Alnico V Single Coil Soapbar is looking to provide the best of two different worlds: the fat sound that’s typical to humbucker, but with the clarity and brightness of a single-coil unit. The end result is an affordable P90 pickup which might not be best one we’ve ever seen, but definitely a good starting point for beginners that are still looking to add identity to their sound. The FLEOR P90 pickup is perfect for buyers that are on a budget, or for beginners that want to avoid purchasing a very expensive product, without knowing if it really matches their playing style. Available for both the bridge and the neck of your guitar, the Seymor Duncan is the type of pickup to die for! The dog-ear cover is impressive but not as impressive as the vintage tone that takes your sound to the next level (or the previous level, depends on how you look at it). With crisp and bright chords, the Duncan won’t interfere with your single notes, so you will still get a well-rounded result. 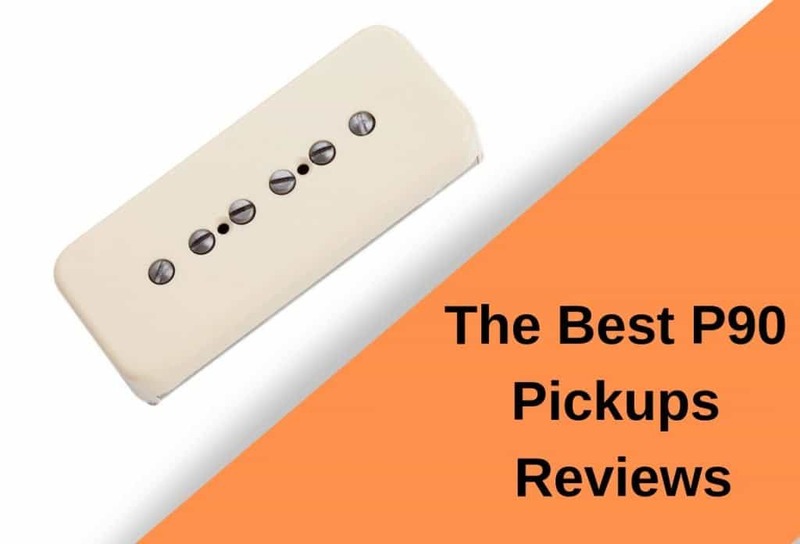 Despite its spicy price, the Duncan Antiquity is one of those products where you know you’re paying extra, but you have the assurance of buying a high-quality pickup. The Seymour Duncan Antiquity is not a cheap product, which means that it’s more of an upgrade for people who’ve been using a basic pickup so far, and would like a product that’s well known as being one of the best choices for a guitar bridge. Everything about the Lindy Fralin screams quality. People often purchase this product because of its fat mid-range, creating a sound that’s truly noiseless. The reverse wound bridges do an excellent job at canceling hum, especially when both pickups are mounted on the guitar. With a solid sustain, the notes are thick, and the chords have an amazing ring to them. The result is a crystal-clear sound that even professional guitar players have praised throughout the years. The set features Alnico IV magnets, plus steel poles, resulting in a lot of sound sustain. Since they are a bit pricey, the Lindy Fralin pickups are not very popular amongst beginners. 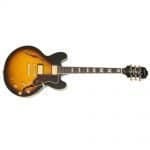 Instead, they are the choice of people with more guitar-playing experience, as they combine the best elements that remind us of the original Gibson specs. 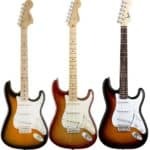 The Kent Armstrong pickup is a bit different compared to the other ones in this round-up, mainly because it’s a double-coil unit, while the others feature a single-coil-type of technology. There are ups and downs to this feature. First off, if you read the buyer’s guide at the beginning of the article, you know that dual-coil pickups do bring some downsides as far as the resulting sound is concerned. Compared to other P90 pickups, you will get a sound that’s less bright, but the dual-coil technology is better at cancelling hum. If your music style is more aggressive, the Kent Armstrong is the right product for you. The hard sound best fits metal music, especially due to the crunchiness of the audio result. If you like playing more aggressive music styles, this product might be straight up your alley. Since this isn’t a high-end pickup, it’s also very affordable, and might be a good option for players who are on a tight budget. Seymor Duncan has found its way into our round-up once again, mostly because it has about just as much experience in making these babies as we’d like to see. As far as pickups are concerned, you know that SD is a brand you can trust, and thePhat Cat pickup sett is here to prove just that. The Alnico II magnets that are found on this pickup are here to give you as much sustain as you’d expect to get from a high-quality product, with a soft attack that can define your play style. The clarity of the tone is clearly superior to other models we’ve tested. Even more, clarity is here to stay even if you push the overdrive. The elegant color is combined with a rugged case, resulting in a sound that you’ll want to hear and play over and over again. The Seymour Duncan Phat Cat set of bridge and neck pickups is the right choice for pretty much everyone. Because of their quality and the results they give, they are not the least expensive products in our round-up, but rest assured that every penny you pay for them is worth it. The bridge pickup is a bit too bright. As we always like to say: the choice is ultimately in the hands of the consumer! When you have to choose a guitar pickup through, there is one important thing to keep in mind: size matters! There are ways to resolve size restrictions if there’s any mismatch preventing you from enjoying your new pickup. 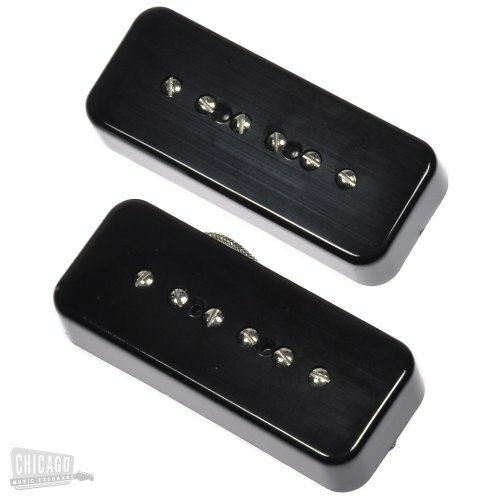 If you want a humbucker pickup, but you are limited to a single coil option, look for a rail styled pickup. 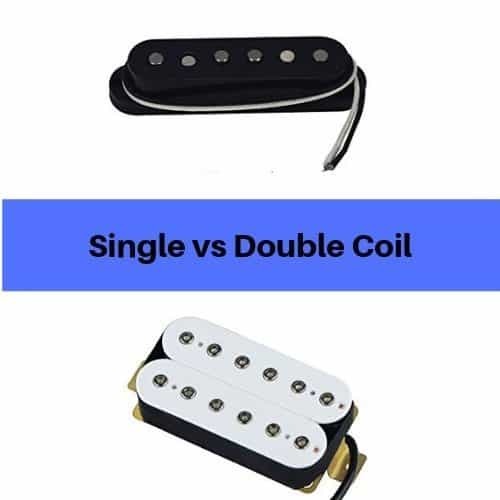 Otherwise, people who want a single coil pickup, but have guitars with a dual-size rout, can opt for humbuckers that allow them to separately use the coils. Your budget is also extremely important because pickups can be cheap… but also tremendously expensive. However, the most important question is limited to discovering what kind of sound you’re hoping to achieve. Once you have that figured out, the process of shopping for a new pickup should be a little easier.